Most people tend to visit Ireland in summer during peak travel season. But see why autumn might actually be a better choice for you! With summer well underway, now is the time to plan an end of year escape. There’s plenty of reasons to visit Ireland during autumn months – below, we’ve isolated just a few. 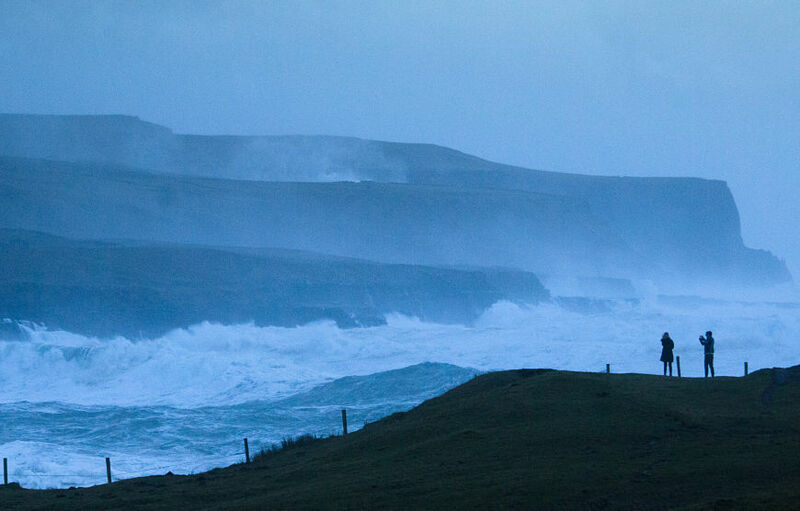 Visiting the famous Cliffs of Moher in a dramatic autumn storm. Though this sounds like a given, it’s worth mentioning that the off peak season, particularly autumn, is far quieter than peak season. 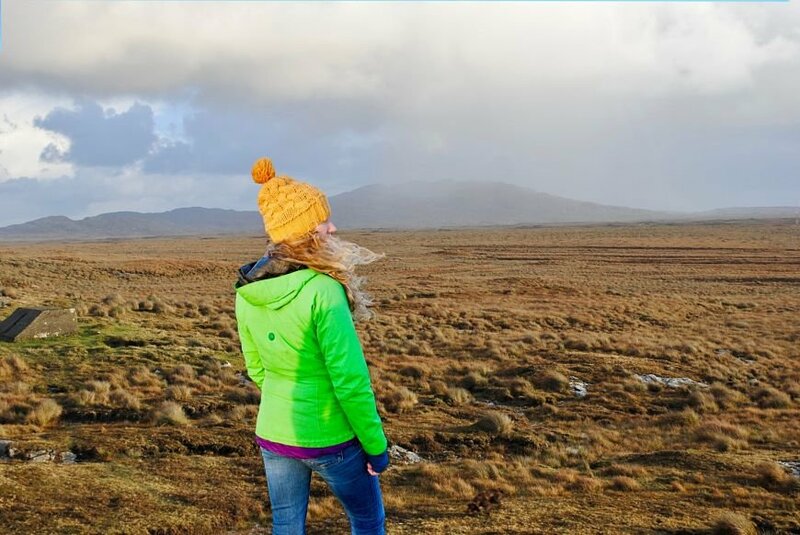 With far less crowds, you’ll be able to visit Ireland’s wilder landmarks like the Cliffs of Moher, the Giant’s Causeway and Connemara as well as attractions such as Jameson Distillery or the Belfast Titanic Experience without rubbing shoulders with hundreds of others. Not to mention, the kids are back at school so not only will you have less international tourists with whom to share the views, but you’ll also have less domestic tourists as well. 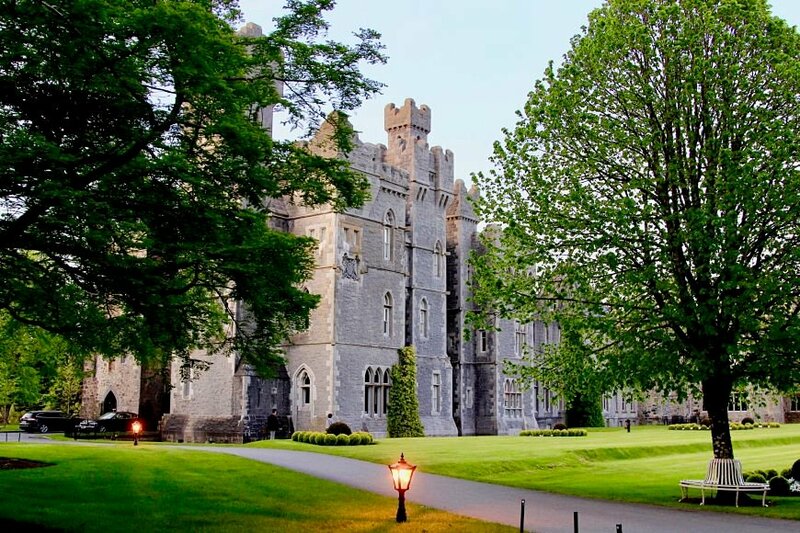 Autumn is a great season to stay in luxury accommodation like Ashford Castle. As the summer season winds down, accommodations and activities lower their costs to off-peak amounts, which means that you’ll get the same services as you would during summer but with lower costs and more availability. Instead of having to compromise or work around the accommodation’s availability, you’ll also have your pick of accommodations and rooms. Hiking the golden tipped heather of Connemara in autumn. Though we don’t have the brilliant golden and orange tunnels of autumn leaves that you’ll find in New England, Ireland changes colours in its own way. As the seasons turn, the beautiful heathland and heather-covered highland change from deep purple to a magnificent golden that blankets the whole landscape. In the forests, the bracken and the ferns turn a brilliant sea of fiery orange and crimson. On the other hand, the Emerald Isle isn’t called so for nothing; Ireland’s lush lowland pastures and rolling farmland are still as green as shamrocks! Plus, the infamous midges – tiny biting flies – are gone by autumn. Though less of a problem in Ireland than Scotland, it’s still a relief to know that by the time autumn rolls in, the midges are gone for the year! A final bonus, autumn weather is usually drier which is always a plus! 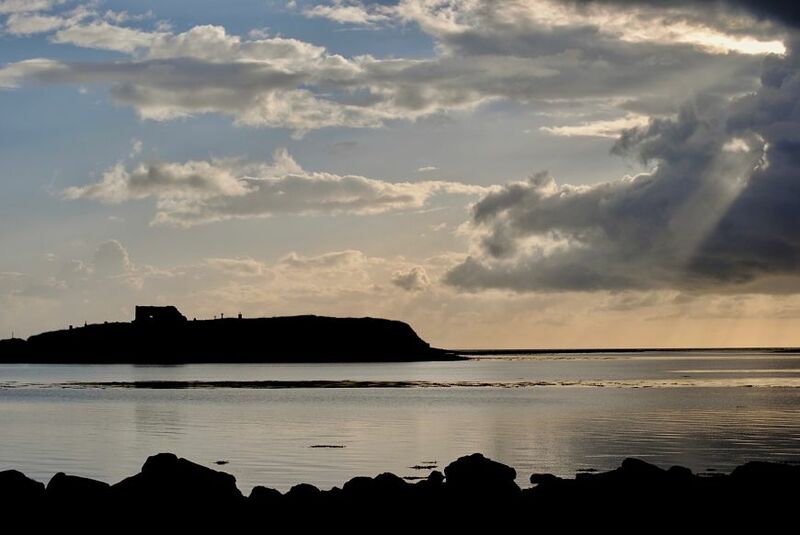 Dramatic evening light on a September evening along Sligo’s rugged Surf Coast. On top of nature being at its best, the stunning autumn light, swirling waves and fierce skies are far more dramatic, making fall an ideal time for budding photographers. The darker, more dramatic atmosphere makes autumn all the more spectacular for hiking and exploring Ireland’s wilder side. After a day in the wilds, come back to one of Ireland’s many cosy pubs. With a Guinness or glass of whiskey in hand to warm up, curl up by the roaring open fires while a local band plays traditional Irish songs. Visit Ireland in October for Samhain, the origins of Halloween. 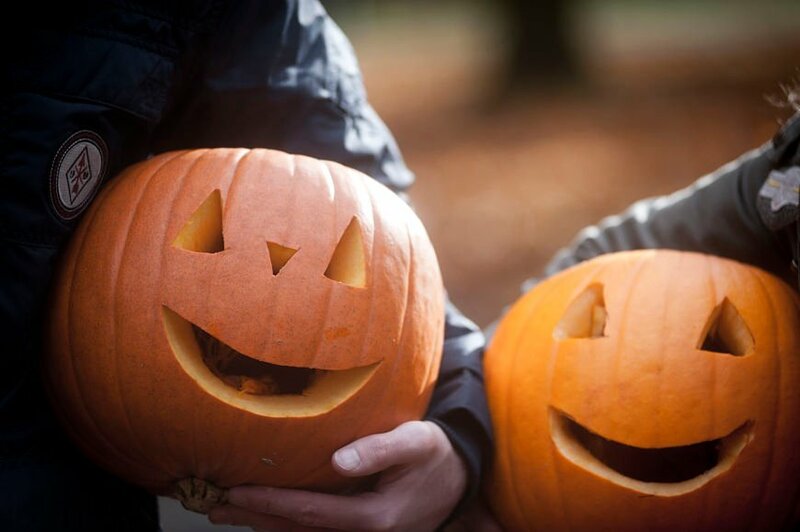 Though not many people know this, the origins of Halloween are quite old. Halloween, or All Hallow’s Eve, comes from an ancient Celtic festival called Samhain, which predates Christianity. According to Celtic culture, during Samhain the boundary between our world and the world of the dead is dissolved; spirits and fairies can easily cross into our world. To appease them, offerings are left out; and to confuse them, people created elaborate disguises. Though today Halloween is celebrated in much the same way as in America and across the world, it’s a special (and spooky) time to be exploring Ireland’s dramatic landscapes, wild mountains, ancient monuments and ruined castles. Looking for a last-minute autumn vacation in Ireland? Check out a few below!